Welcome to my new home on the Internet! A lot has happened over the past few months. My husband, cat and I uprooted from Toronto and moved a wee bit south-west to Hamilton, Ont. This city is pretty damn remarkable. First off, I am terrible at moving. I get super attached to houses, neighbourhoods, places, and people, so after living in Toronto for eleven years, moving away felt like a sucker-punch to the heart. We moved because we were itching for change and wanted a place to call our own. When we found our house, in the dead of winter, complete with a pottery studio, we knew it was time to make the jump. We have received such a warm welcome from our Hamiltonian friends and new neighbours. This small city with a big heart is charming, gritty, and is the kind of place where you feel like you can actually make an impact. 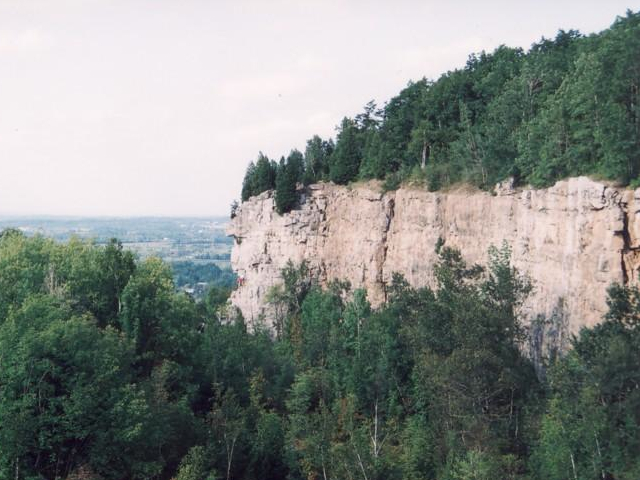 It's not pretentious, is surrounded by the lush, green escarpment, and is already a host to many artists & craftspeople. I am in the midst of setting up my new studio. Here's a picture of what it looked like this spring. I can't tell you how happy I am to have my very own, dedicated space to make new work. Right now the studio is bursting with pots in all stages of the making process as I prepare for the Christmas One of a Kind Show. As most artists do, I started producing work for this show in the summer, so I'm itching to show you all what's taken shape. Hope to see you there! Stay tuned for product sneak-peeks, discount coupons to the show & giveaways!! Plus, very soon you'll be able to shop directly from this site! Thank you to all the lovely people who have welcomed us to our new city & hi-fives to Miro Wagner for all his help launching this new website! So happy for you Krystal! Place looks amazing! Wish you the very best of luck and success and happiness. Can’t wait to see those new creations! !